Georgia might see its fair share of winter weather, but that doesn’t mean you have to let your tan fade away. Tanning beds are safe, effective ways in keeping your skin looking healthy and fresh. They don’t cost much to use, plus it’s a great way to let the stresses of the day melt away. Keeping your golden summer glow all year long is easier than you think at these 10 best tanning salons in Georgia. Part tanning salon and part Fashion Boutique, this place is focused on bringing you the results you expect. You can get a high-quality tan just as good as any you'd get at the beach. In addition, they also offer a variety of spa-like services, including sunless tanning, red light therapy, sauna, body wraps, and teeth whitening. Don't have time to make it to the salon? This mobile spray tanning service will come straight to you and help you achieve the fresh bronzed look you crave. Just one application is enough to achieve the color you want, and they last up to 10 days. Their variety of monthly membership options make it easy to fit tanning into your budget. Wait times are never long, so you can get in and get on with your day quickly. They also offer teeth whitening and red light therapy so you can feel like a whole new you in a single stop. They have a huge variety of beds to help you meet your tanning needs as quickly as possible, even in as little as two or three sessions. The staff here takes time to educate you on tanning so you can make the best decisions that will help you reach your goals. They can help you customize a tanning plan based on your unique skin type and other needs. If you want to tan on your schedule, there’s no better place to be. You have 24-hour access to tanning beds in case you can’t make it during staffed hours. They usually have a variety of sales and specials to make their already-low prices even more affordable. 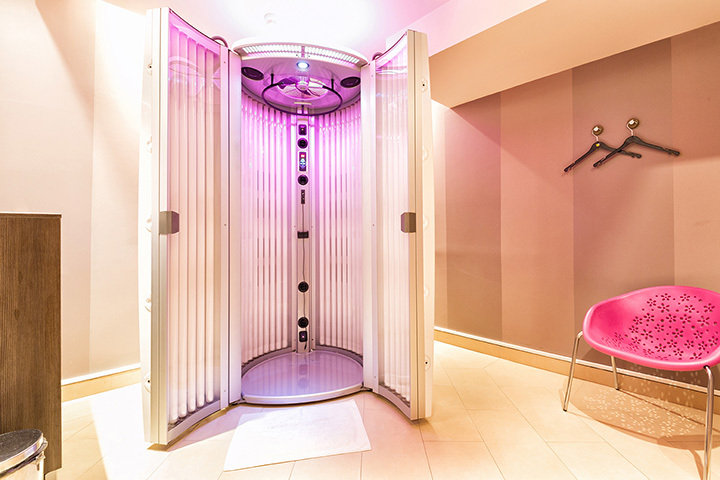 You don’t always have to go “under the light” to get a high-quality tan. A sunless tan at this tanning studio takes just minutes, and the results last for over a week. You can get sunless tan memberships, or stock up on home tanning products to give yourself a touch-up whenever you need. This total package beauty palace can help you achieve a whole new look. Top of the line beds offer multiple levels of tanning power so you can get closer to your skin tone goals. Alongside top-notch tanning services, they also offer threading, waxing, red, light therapy, cuts and color, and weight loss programs, to name a few. Open every day of the week, you’ll appreciate the variety of UV- and UV-free beds. They have multiple pricing tiers to fit your budget, plus unique beds that focus on specific goals to help you achieve a stunning shade of bronze. Beds are always clean, staff is professional and knowledgeable, and they’re open every day of the week. This award-winning tanning salon features the best in UV and sunless tanning options. Spray tans are customized to fit your unique goals. They keep their lamps fresh so you can expect top-notch results with every session. If you’re not sure where to start in your tanning journey or just need help taking it up a notch, the tanning experts here offer free consultations so you understand your options. With multiple types of beds and durations to choose from, you can customize a unique tanning strategy that works with your schedule and desired results. They offer several package options, including the highly acclaimed Mystic Tan sunless tanning booth.